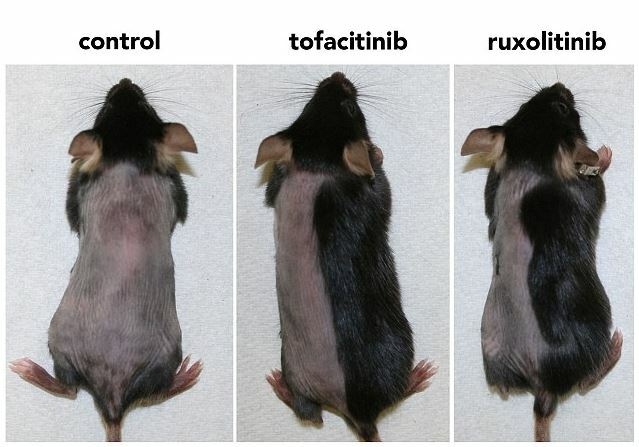 In their experiments on mice and human hair follicles, they applied JAK inhibitors to the skin. These drugs inhabit the Janus kinase (JAK) family of enzymes which in turn promotes rapid healthy hair growth. JAK inhibitors could be used for treatment of different forms of hair loss by repairing hair production. The various forms of hair loss are male pattern baldness and other types of hair loss that are due to hair follicles being trapped in a resting state. Hair production occurs through different phases known as growth, cessation and the resting state. Dr Angela Christiano and her colleagues in this study used two different JAK inhibitors which are approved by the U.S. Food and Drug Administration. One is used for rheumatoid arthritis (tofacitinib) and the other for treatment of blood diseases (ruxolitinib). These two drugs are also being tested in clinical trials for conditions such as plaque psoriasis and alopecia areata known as spot baldness, an autoimmune disease related hair loss. “What we’ve found is promising, though we haven’t yet shown it is effective for male pattern baldness. 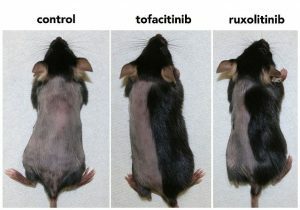 The study shows that mice, after a treatment with one of two JAK inhibitors for five days, regrow nearly all their hair within three weeks (see below). The topical treatment was more effective than when given. This suggests that JAK inhibitors not only inhibit the immune attack but also directly effect the hair follicles by rapidly awakening resting follicles. “There are very few compounds that can push hair follicles into their growth cycle so quickly. This study was published in Science Advances (Harel et al., 2015). 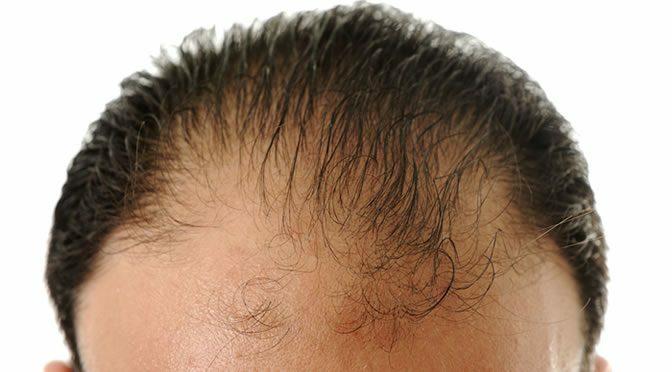 Hair loss image from Shutterstock. Mouse image courtesy of Columbia University.